Regular CR readers will remember Bucher’s Daily Monster series in which, inspired by ink blots, he created a new creature every day for 100 days, recording the process on YouTube. 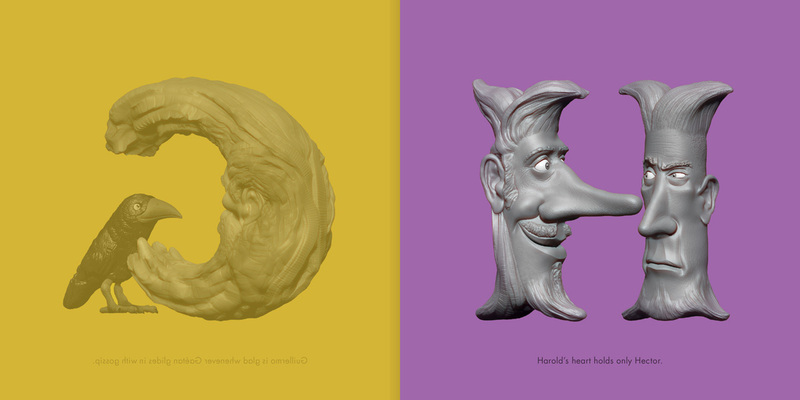 Bucher’s latest self-initiated project is Letterheads, an A to Z of 3D-modelled heads, each designed to convey a different personality trait and emotion. 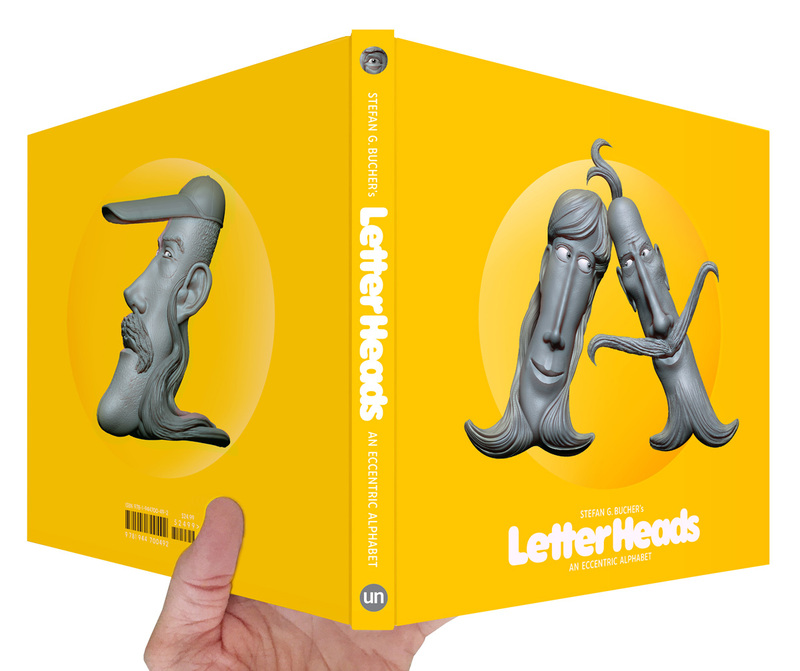 Letterheads has now been published in book form: each head is accompanied by text about its ‘personality’ and a complementary colour. “Some are young, some are old. 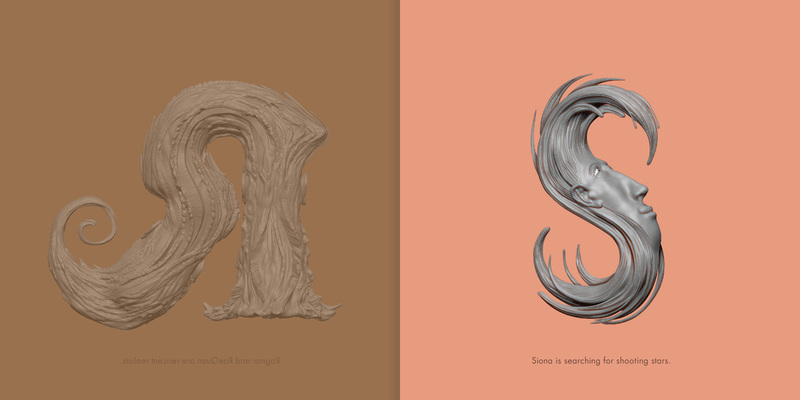 Heck, some of them may be italic. Who am I to judge? Like us, they come in all shapes and sizes. 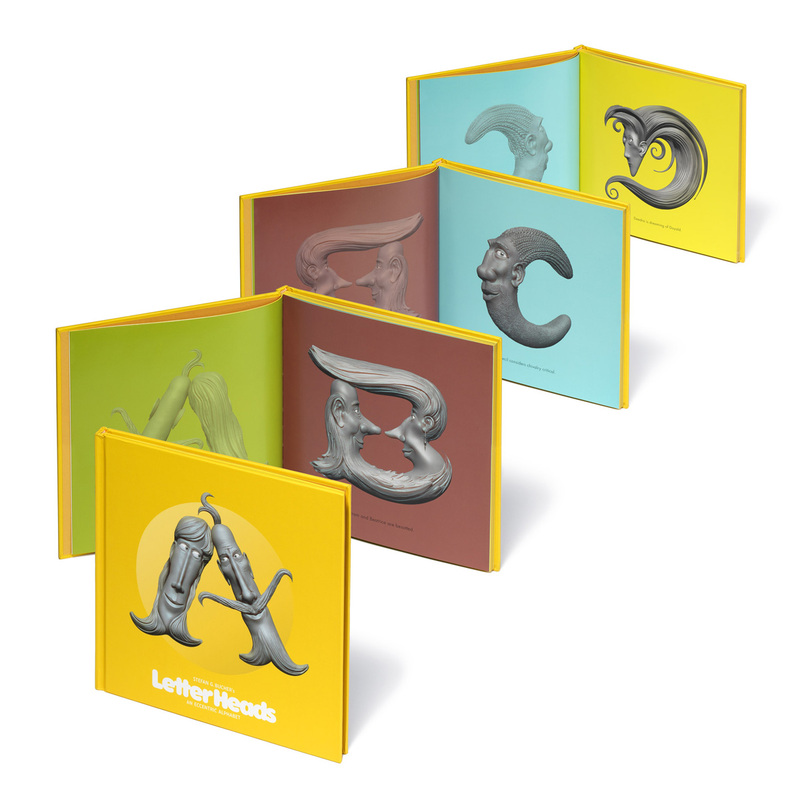 As with humans, there is no right or wrong way for a letter to be,” Bucher says. 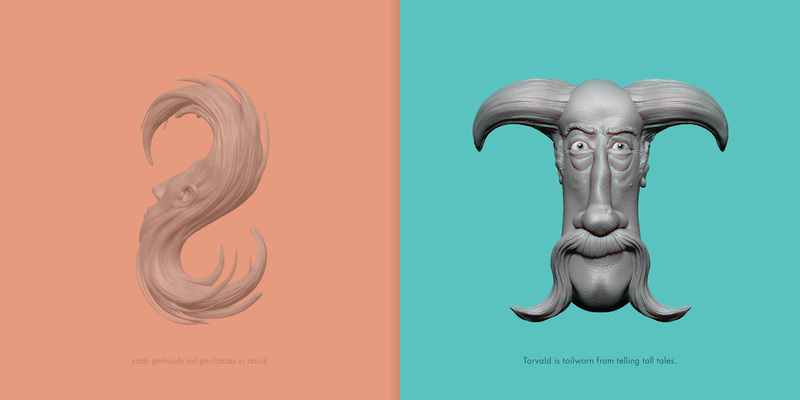 The heads were sculpted using ZBrush, a far cry from the pen and ink used on the Daily Monster series. “In the spring of last year I spoke at -ING in Dubai, and checked out a ZBrush workshop by [creature designer] Neville Page. [It] hooked me instantly,” Bucher says. This video explains how he did it.